Today I spoke at a press conference in support of legislation I have co-sponsored to protect women’s access to health care, along with Sen. Mae Flexer, Rep. Sean Scanlon, and a bipartisan coalition of legislators and activists. Senate Bill 586, An Act Expanding Mandated Health Benefits for Women, Children and Adolescents, passed out of the Insurance and Real Estate Committee this afternoon and will next go to the Senate. 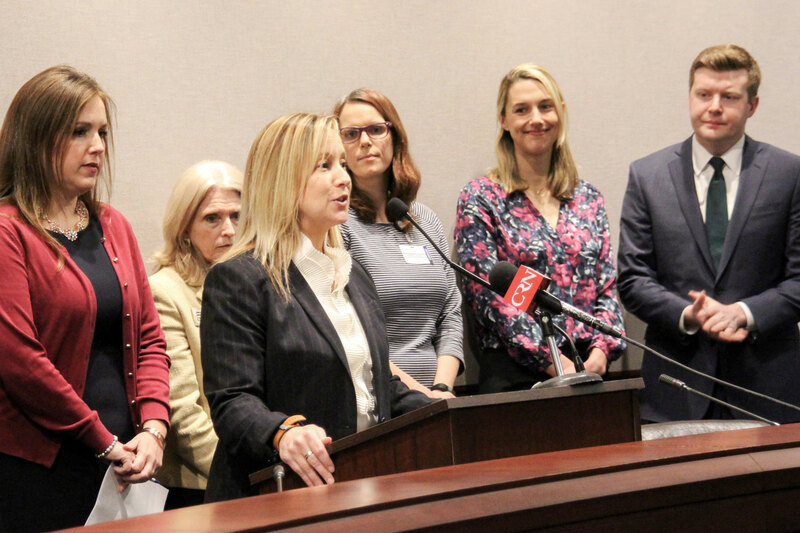 The legislation would ensure health insurers in Connecticut continue to cover preventive women’s health services at no cost to the insuree, regardless of changes to the federal Affordable Care Act. The right to reproductive health care means little if women can’t afford the medical services they need. The federal requirements have given many women in Connecticut access to preventive services that were previously out of reach, and we must guarantee that access continues. I would like to thank all the advocates, both women and men, who have come out in strong support of defending women’s health care.